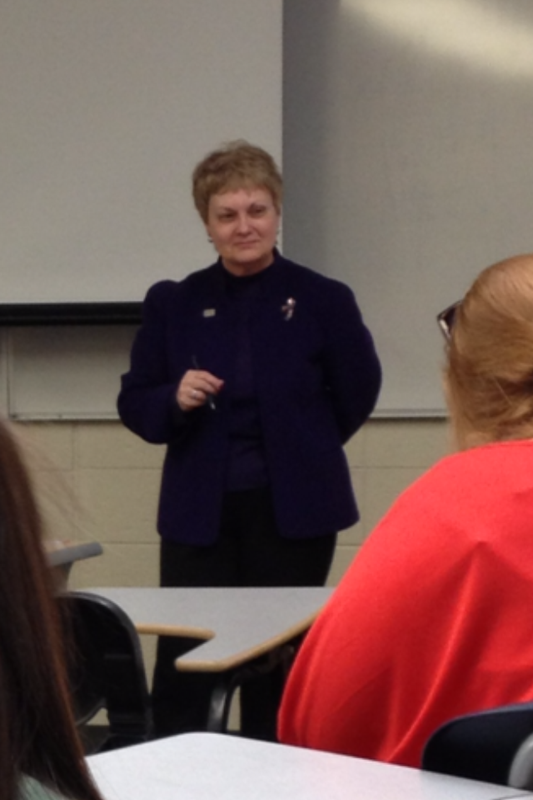 At our March 5th meeting, members of ESU PRSSA were privileged to have the chance to speak with Mathilda Sheptak, the Executive Director of the United Way of Monroe County. Attendees discussed ways to promote events and spread word about volunteer opportunities. New members especially benefitted from learning about the history of the United Way, which ESU PRSSA adopted as our philanthropy last year. Sheptak also spoke about events that the organization has already lined up for this year. The meeting was a great success and we can’t wait to help out at United Way events in the near future. The United Way of Monroe County is a local chapter of the international organization United Way Worldwide, which organizes, funds, and provides volunteers for projects and programs that benefit communities around the world. Currently, our national chapter of the United Way is partnering with MTVU to help rebuild and bring relief to those families and communities effected by Hurricane Sandy. If you would like to know more about the United Way of Monroe County, head on over to their website at unitedwaymonroe.org, or check them out on Facebook (/Unitedwaymc) and Twitter (@UnitedWayofMCPA). If you are interested in volunteering, sign up at VolunteerMonroeCountyPA.org. For more information on the international organization, please see their website, located at liveunited.org.